Blackjack or 21 is a simple game to learn the basics of. Anyone can learn and be playing blackjack in just a few minutes. Because blackjack is a simple game to learn, it has become on of the most popular table games found in the casinos. The basics of Blackjack are very simple; you need to make a hand that adds up to 21 or as close as you can without going over. In Blackjack all number cards count as the number on the card, all face cards are worth 10 and an Ace can be a 1 or an 11 depending on which is better for the player. 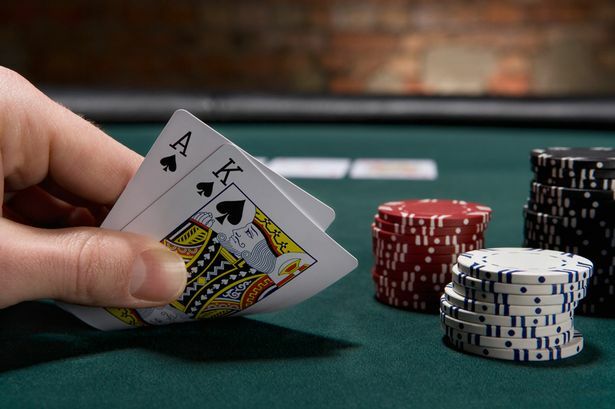 Unlike Poker, in Blackjack you only have to beat the dealer and not the other players at your table, and there really is no difference between this game and Online Blackjack played in an online casino. Going over 21 is called a Bust. Getting dealt a hand of a face card, which is a jack, a Queen or a King and an ace is called a Natural and cannot be beat by any hand. The dealer will deal 2 cards to each player and 2 for himself. The player%u2019s cards will be dealt one card face down and one card face up, while both of the dealers cards are face down. Going around the table clockwise the players will have a chance to make their hands. You have the option to hit or stay. To Hit means you want another card, and to stay means you feel confident that you can beat the dealer with the hand you already have. Once all the players have had a chance to make their hands the dealer gets to make his. The dealer will not turn over both his cards for all to see. When the dealer hits or stays is not up to him. He must hit on any hand under 17 and must stay on all hands 17 and over. This means is a dealer has a king and a 5 he must take another card giving him a high probability of going over 21, also if the dealer has a 10 and a 7 he may not go any further making all hand of at least an 18 a winner. There are other options in Blackjack, but these are more advanced. I recommend getting a feel for the game like this before moving on to more advanced moves and strategies.